PlayStation and Xbox owners can now obtain the Husk of the Pit once again, find a changed rotation of PVP maps, and get ready for the Nepal Aid rewards and other upcoming changes. The Husk of the Pit suddenly dropped stopping in Destiny around the time that House of Wolves came out. This prevented many players from being able to initiate and complete the Necrochasm upgrade quest. You may point out that the Exotic Necrochasm Auto Rifle wasn’t that hot of a weapon to begin with, and you’d be right. The amount of effort it took to obtain compared to its power was disappointing. However, the 2.0 update is buffing Auto Rifles in general and the Necrochasm in particular. That should hopefully make it a more appealing weapon. The Nepal Aid rewards should be obtainable soon following the release of the Destiny 1.2.05 update. The shader and emblem have been added to the game now, and all that remains is the emails from Bungie containing the redemption code for those that purchased the Nepal Aid items from the Bungie Store following the devastating earthquake that struck the country. 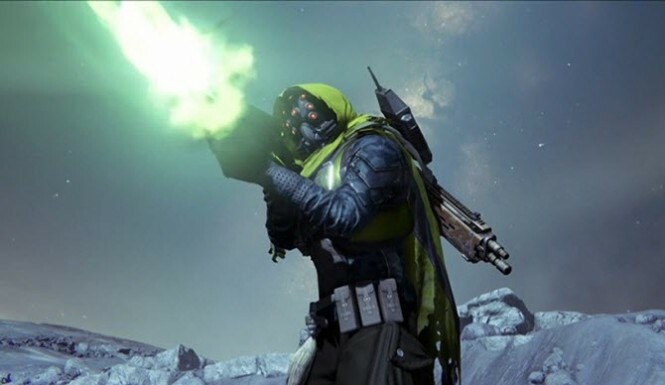 Crucible multiplayer is receiving some tweaks, as well. Some of the maps in rotation for House of Wolves Control and Clash playlists are receiving a lower weight to lessen their chance of appearing repeatedly in the playlists. Meanwhile, the Inferno and Doubles playlists have been given different Heavy and Special Weapon ammo crate spawn rules from other playlists. We also get our first peek at one of the Destiny Tower changes coming with The Taken King. A kiosk has been added near Eva Levante to replace Tess Everis. Tess is leaving the Tower only temporarily, though. It sounds like Bungie may have a job promotion in store for the special items merchant voiced by Claudia Black. You can check out the full Destiny 1.2.0.5 hotfix update notes below.